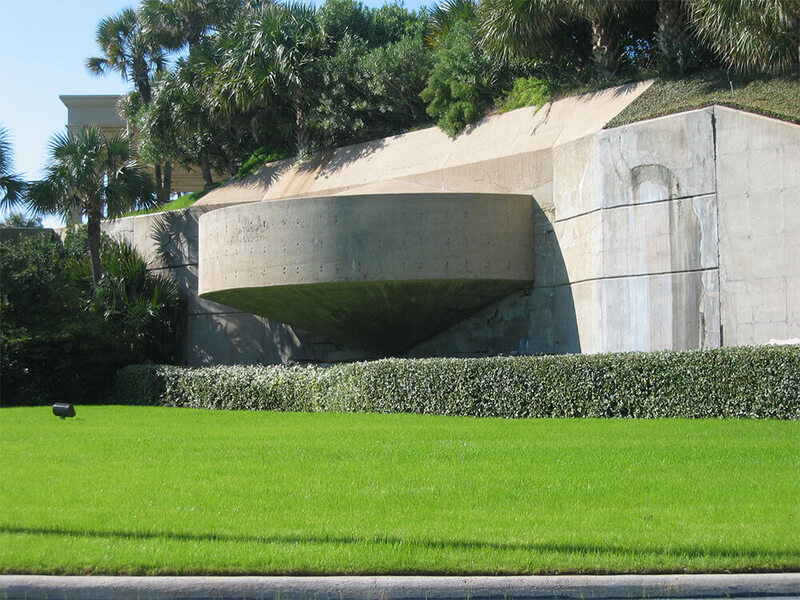 When you’re visiting Galveston, you may notice some enormous concrete structures along the seawall highway on Galveston Beach. These structures are pieces of Galveston’s history and concerns about the security of the United States. They’re part of Fort Crockett, near our Stella Mare RV Resort. Initially begun in the late 1890s, Fort Crockett’s creation was delayed by the Galveston Hurricane of 1900. The U.S. Army Corp of Engineers used the next several years to finish repairs and expansion of the facility. It was then dubbed Ft. Crockett to honor David Crockett of Alamo and Congressional fame. The fort was used as an artillery unit training center during the First World War. For several decades the fort also housed one of the early attack wings of the Army’s air force. During the Second World War, the fort also had its gun batteries expanded. The massive amounts of concrete that were necessary to make the casemates for guns and magazines meant that moving them would be problematic. So even though after the 1950s it was no longer used for defense, it still features those prominent concrete structures. It is now managed by the US NOAA national marine Fisheries Service and contains several laboratories and university facilities. If you’re wandering over that way you can see what has been done to modify an old fort and visit a little piece of Galveston history. Near Fort Crockett, the Stella Mare RV Resort, the quality leader in the Galveston area, is located across from Galveston Beach and is a great way to start your Gulf Coast vacation. You can find out more about the great amenities and save your spot with us today at stellamarervresort.com.